However, what paints less of a pretty picture is a statistic that we’re unfortunately far more familiar with – P platers who graduate from being a learner driver then become the most at risk group of drivers on our roads and are over represented in road fatalities in Brisbane and around Australia. So how does a group the same group of drivers go from being the safest to the most at risk? 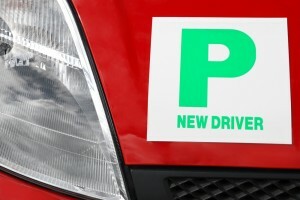 And why does the law determine that P plate drivers have all the necessary skills to drive independently and have the skills to operate a vehicle, when often they are still at risk? The reasons are many, but the issue is complex. - Drivers between 17-25 years make up only 14 per cent of road users, but 26 per cent of road fatalities. – The first year that drivers are on their P’s are the most accident prone with the risk decreases significanty each year for the next 5 years. – 33 percent of fatal crashes in the first 6 months occur between 10pm-6am despite P platers doing only 9 per cent of driving between these hours. – Teenagers have increased risk taking behaviour in all areas and this unfortunately extends to driving. – P plate drivers are more often driving older, less maintained cars, with fewer safety features that assist savings lives. Here at A Grade Driving School we support young driver education about the risks on the roads and strongly encourage parents to look for ways to reduce the risk to their kids, especially in the first 12 months of getting their P’s. This can include having the safest possible car to drive, providing transport to social events and look for alternatives to night time driving including taxi money and car-pooling while negotiating and encourage teens to gain solo driving experience in less risky situations. Contrary to what many parents might think, most teens have a good level of respect and consideration for their parents, especially in situations where it’s clear that the parents are looking after their best interests. This entry was posted in Driving Instructors, Driving lessons by A Grade. Bookmark the permalink.